In October 2018, the UF Thompson Earth Systems Institute was awarded funding to pilot strategies that support an ambitious goal: connecting scientists with every K-12 school in the state of Florida. This far-reaching, “moonshot,” project has the potential to impact nearly 2.3 million K-12 students and 1,000s of teachers statewide. Read the UF News Press Release about this and other moonshot initiatives aimed at tackling some of society’s most urgent problems. 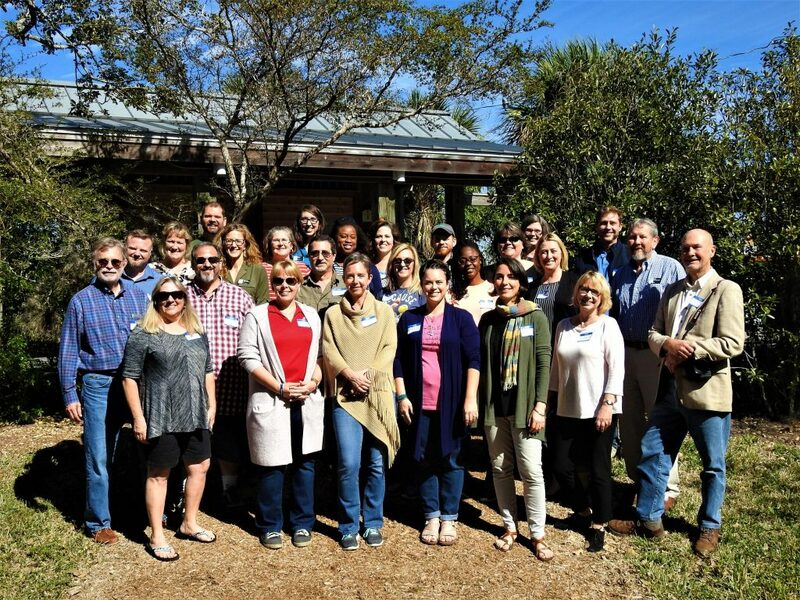 To kick off the Scientist in Every Florida School project, the Institute hosted a one-day workshop on January 19th, 2019, at the Randell Research Center on Pine Island, Florida. There, teachers from five Florida counties, Florida Museum staff, and UF faculty gathered to discuss needs, brainstorm strategies, and chart the path forward. Read more about the kickoff meeting in this blog post by Adania Flemming. Participants of the Moonshot Kickoff Workshop. Photo courtesy of Scott Flamand. Visit our SEFS Moonshot Resources page to view notes from the Moonshot Kickoff Workshop and links to Earth Systems teaching materials.